An unannounced Windows Phone 8.1 powered Nokia handset has taken a spin on the GFX Benchmark site, leaving a little information about the phone. The model number is the RM-1027, and is certainly not a high-end unit. The GFX site shows the phone carrying a screen with a resolution of 480 x 800, and the included Adreno 305 GPU is the usual graphics cruncher on low-end Lumia phones. This could be the Nokia Lumia 530 that we told you about in March. 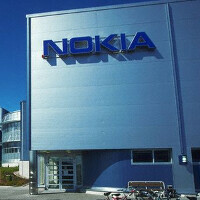 That model is expected to be the replacement for the Nokia Lumia 525, which itself took over from the Nokia Lumia 520. The latter is the most popular Windows Phone model ever sold, thanks to its perceived value. The Nokia Lumia 530 is code-named the Nokia Rock, according to evleaks, and so far we have no idea when this model will see the light of day. Until the phone is released, you might want to consider the Nokia Lumia 525. This model has the same specs as the Lumia 520, but doubles the amount of RAM to 1GB, allowing it to support more games and apps from the Windows Phone Store. I think the Goldfinger was actually supposed to be announced at BUILD, but the technical limitations pushed it back to 2015. Instead Nokia went with plan B; making the Icon an international version to fill the device gap. They did however have to wait for 6 months before releasing it due to contracual agreements between Microsoft/Nokia and Verizon. And that's why the 929 became a 930 and can't be purchased until June. If Nokia makes another phone that has a low resolution like 800x480 or 854x480. Then they can keep them. It's not like Nokia don't have enough low resolution phones already. Nokia/Microsoft need to plan out the devices fast and release them as soon as possible in the market if they want to increase their market share. Things like.. 1) No more 512mb devices!! Enough already! 2) an immediate 720 successor with 4.7inch, sd 400, 1gb ram, 720p display and 8mp cam, front cam, flash, price < $230. 3) 830 with 5inch, sd 600, 1gb ram, 768p display, 10/12mp cam, price < $300. 4) 1330 with 6inch sd 400,1gb ram, 768p display, 8mp cam, price < $280 (for people who like big screens) 5) 1030 with 5.5inch, sd 801, 2gb ram, 1080p display, 41mp cam, fingerprint scanner (maybe since wp8.1 code revealed it has support for it) price ->flagship Unless they cover every price point they will just keep losing marketshare. Please put a flash,front facing camera and and memory card slot and you're on to a winner. has to be priced correctly since moto e is already selling like hot cakes...avalaible for just $129..
Maybe one day Satya and Billy will get around to changing the name from Nokia to Microsoft Mobile. Trying to maintain a fake Nokia brand for the next few years is not going to end up roses for Microsoft. You should not make such comments about Bill Gates and Nokia, because its clear that you have no idea what's taken place. Do your research instead of spreading ignorance. IMO what they should improve compared to 520 -Slightly faster processing package -1gb of RAM -Slimmer, -more solid feeling body -Improved display (not necessarily resolution) -flash and front-camera seem unlikely for me, but they would be cool. Its good these are dynamos for the buck. WP flagships=Shelf Queens. Looks like there's still some affects left on your brain after the AfterShock. me too want nokia 720 successor, it been over a year nokia 720 still in the market. There is a ton of new devices in the pipeline, the successor will most likely be in there .